I would like to share with you about my trip with Ps Brendan to the Democratic Republic of the Congo (DRC) in September 2016 last year. Firstly, we flew off to Kigali in Rwanda. It was a 30-hour flight to get there. 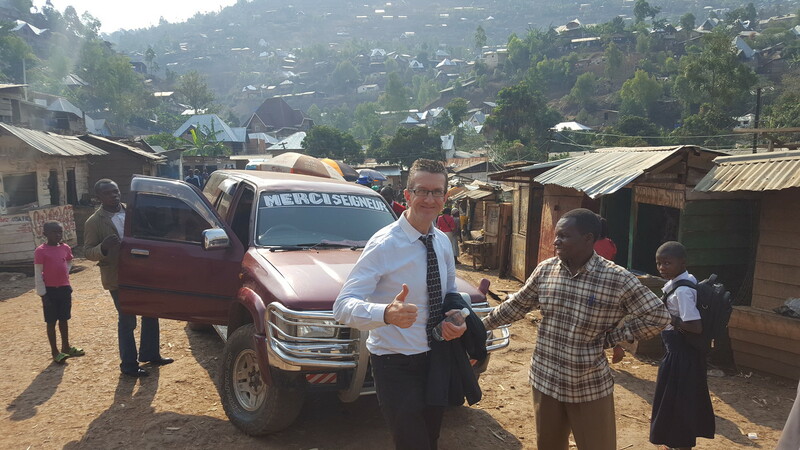 When we reached Kigali, we had to take a taxi for another 6.5 hours of driving through the roads to get to Bukavu on the eastern side of DRC. We arrived at the border at about midnight and stayed overnight at the Rwandan border. Early the next morning, we crossed the border to DRC. We met with our head pastor there, Pastor Mapya. He shared with us some of the things that were happening in the country at that time. The country was in a period of significant unrest, because the president was holding onto power when he should have passed it on. Pastor Mapya told us that in fact just that week alone, 2 pastors were killed. They were killed by the soldiers. The soldiers wanted to take their money and mobile phones, but the pastors refused, so they just shot them dead. That was the kind of the situation and environment that we were in at that time. Hence, when we got through the border, we were all very careful about what we were doing, how we travel, and how we interacted with the police and the army, because unfortunately there was a lot of corruption happening in the nation. On the first day of arriving in Rwanda in the morning, we were involved in a training for pastors. We ran a training for 3 days for pastors. There were more than 40 pastors and several other leaders attending the training. It was a fantastic time! It was just amazing to see their heart and their passion to learn. Some of these pastors came from very far – many had to walk all the way, some of them walked 2 days. There were even some who slept on the side of the road just to make it for the conference and training. 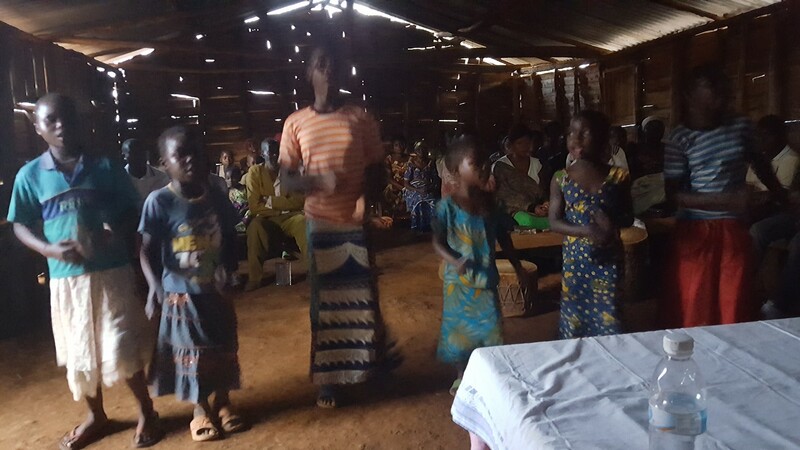 During that time, we taught them many different things – about leadership, about planting churches, and how to help their people. As part of the conference, Pastor Brendan did some training to teach them how to pray for people. It was just an amazing time as he was doing that. Some of the pastors themselves were healed by the power of God. It was really exciting and to see what was happening! The pastors were so encouraged, inspired, and better equipped after the training. The nation of DRC is very poor. They are one of the poorest nations in the world – in terms of their per capita income, it is most likely the lowest 5 nations in the world. Therefore, the environment that we were in was also very challenging. Most of the time, we held conferences in one of our churches – which was a little building built mostly by hand. There are no carpets, the concrete is very basic, the floor is cracking, the windows often have no panes nor glass in them and the building is falling apart. The church itself is situated right in the middle of a slum area. There is no road to get to the church itself. We had to walk on the mud and on little paths, and we walked through drains and all kinds of different settings to get there. 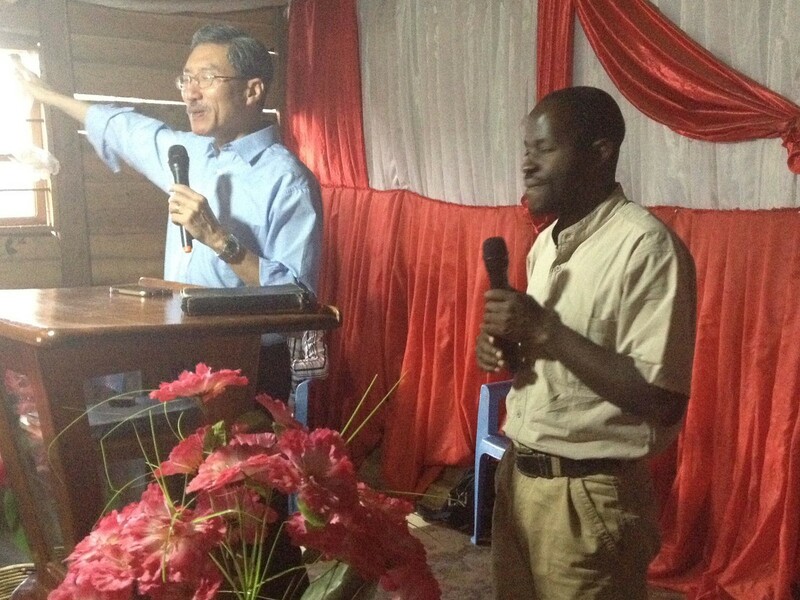 As we talked to the pastors, we had an interpreter who was faithfully interpreting for us throughout the whole time. Once, we were having a very simple lunch that had been cooked by the local people during the conference. As we were eating, I asked this interpreter, “So what do you normally have for breakfast?”, and he responded saying that he normally doesn’t eat breakfast. I was curious, so I asked him again, “Is it because you are on a diet, or because you just don’t like breakfast?”, and he replied saying that actually he doesn’t have breakfast most times because he simply cannot afford to have breakfast. Wow…just amazing. When we were talking to the pastors, we asked questions like, “How do you keep in touch with one another?” (because of the distances and almost none of them own any cars), “Do you call one another? Do you e-mail?”. We found that most of the pastors do not even have access to the internet. In fact, a significant proportion of those pastors do not even own a mobile phone! So, this is the kind of situation that they are in – they are working in very difficult situations and in significant lack. But what is amazing – is their passion, dedication, and willingness to make so much sacrifices for the sake of the Kingdom! 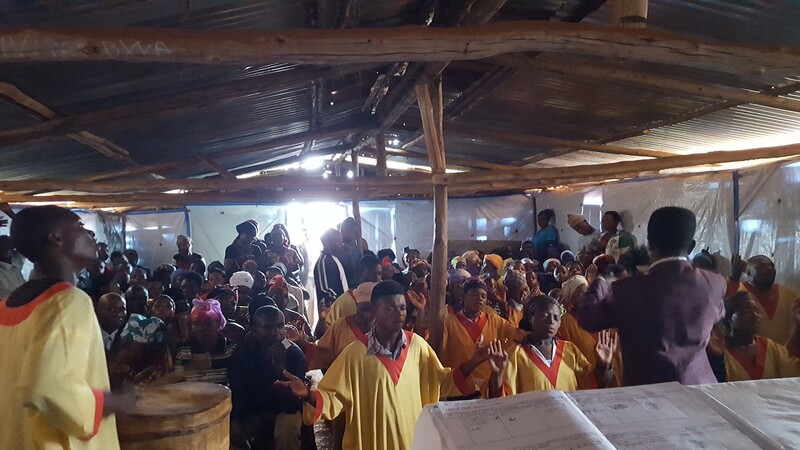 Besides the training, we also had the opportunity to preach and teach in a number of their churches. 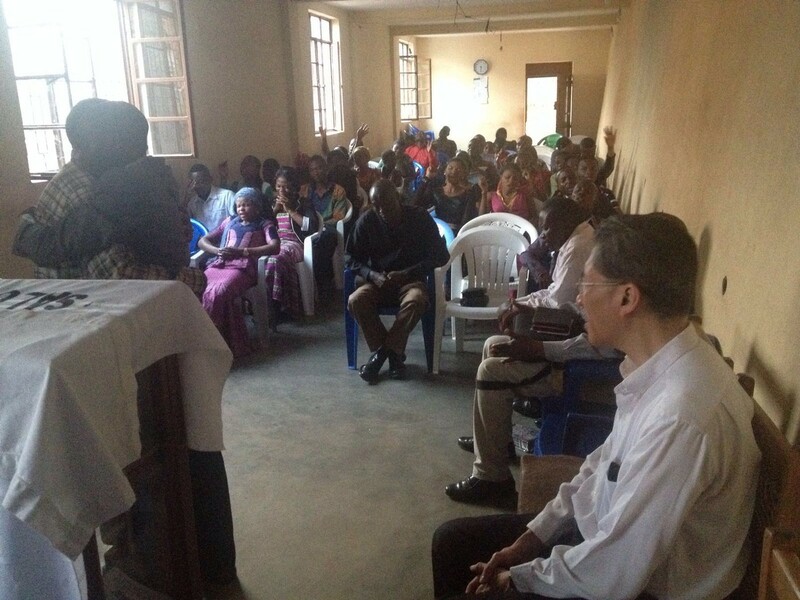 They brought us to their Central Church in Bukavu, where we shared and ministered in one of their large prayer meetings. In this little hall that they had, the prayer meeting went on until sunset. They tried to save money by not switching on the light – so there was no light in the whole meeting! When the sun went down, it was so dark that we couldn’t even read our Bibles. I brought my tablet along so I was able to read, but it was very difficult for even my interpreter to read. We also went to visit the first church building that they ever had – the one which Pastor Mapya started himself. There is another pastor who is in charge of that church now. We went to the church and again I shared a message and we ministered there. It was just a wonderful time. We then went to this pastor’s house which was nearby. 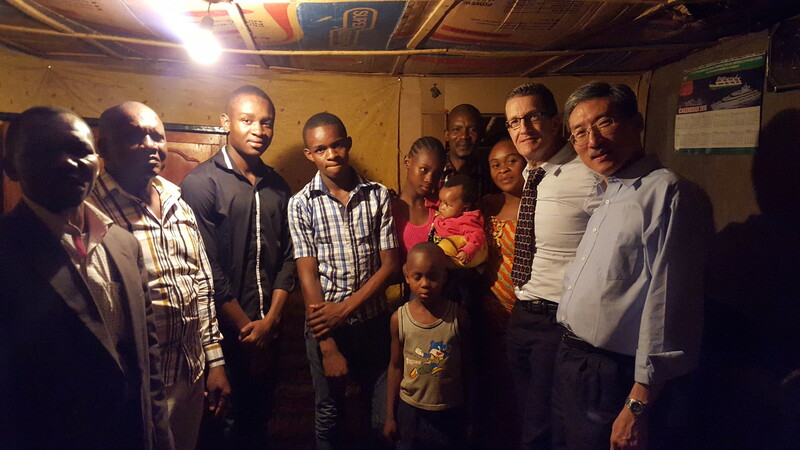 He had rented a little house and it is actually located in the slum area too. It only has very basic corrugated walls and roof, and single storey. When we went inside, there was no electricity so we had to switch on our mobile phones for light or bring a torch light. It really shocked me to see that the ceiling of that house was made of recycled cardboard! 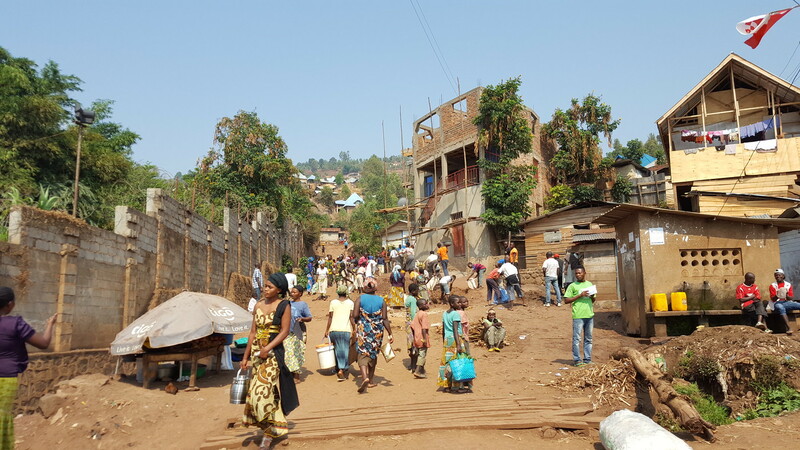 That is the kind of environment that they live in, in many places in DRC. One day, they also brought me to a hillside church. We had to climb and trek up the hill – it was quite a trek on just dirt paths. I was like “oh wow”, it really wasn’t easy climbing up. We finally made it there just before the evening, and the sun began to set. Again, there was no electricity – the church itself was just a wooden structure made out of trimmings from the trees and branches which they used to make the whole structure. Right in the middle of my preaching, I felt the whole ground shook and I was wondering what was happening – this hill is not very stable. It shook for about 10 seconds but I continued preaching, and we ministered and prayed for people. God moved and touched many people’s lives that time! After that, we went back in the dark. We had to use torch lights and trekked our way down the hill. The next day, I discovered that there was actually a major earthquake that happened in that area, which had also affected a number of nations. I did not realize it at all. 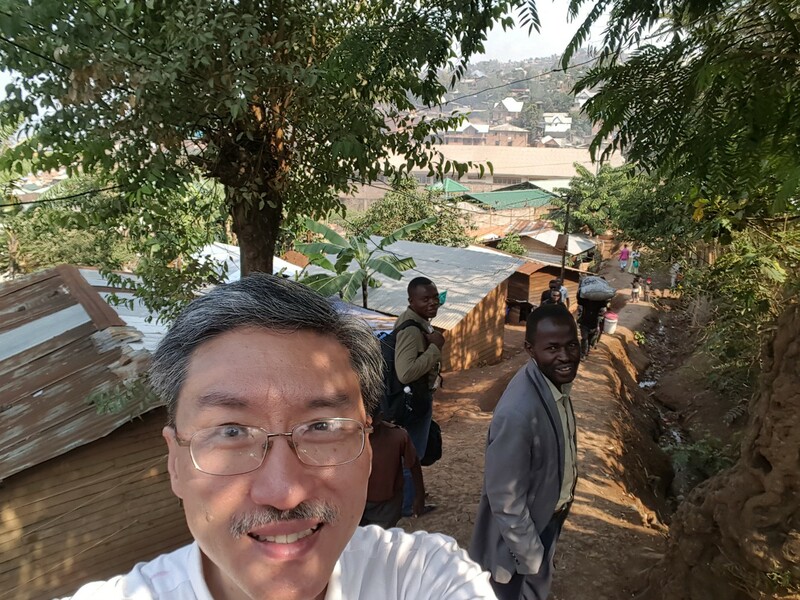 So there I was – preaching right in the middle of an earthquake –what an experience! We also preached in a wedding. It was quite interesting to see how they conduct their weddings. It was in another church in the countryside situated on a hill. It was a church with a small building which could probably sit 80-90 people, but they managed to squeeze 200 people in there for the wedding! It was just interesting – a wonderful cultural experience for us to participate in the wedding, to share a message, and to pray for the young couple. Finally, on Sunday we went to one of their largest churches in the country. Yet again, it was still a very basic church building, even though it was large enough to sit 300-400 people. The doors and windows are nothing more than just the openings. There was no actual doors or window panes. Those are some of the challenges in that nation but they are believing God, they continue to serve the Lord! Can I encourage us to pray for them? There is so much need, so much poverty, and yet the Gospel is so desperately needed in that nation. So many people are lost, and there is so much suffering and corruption and all kinds of challenges in the nation, but God is doing amazing things! 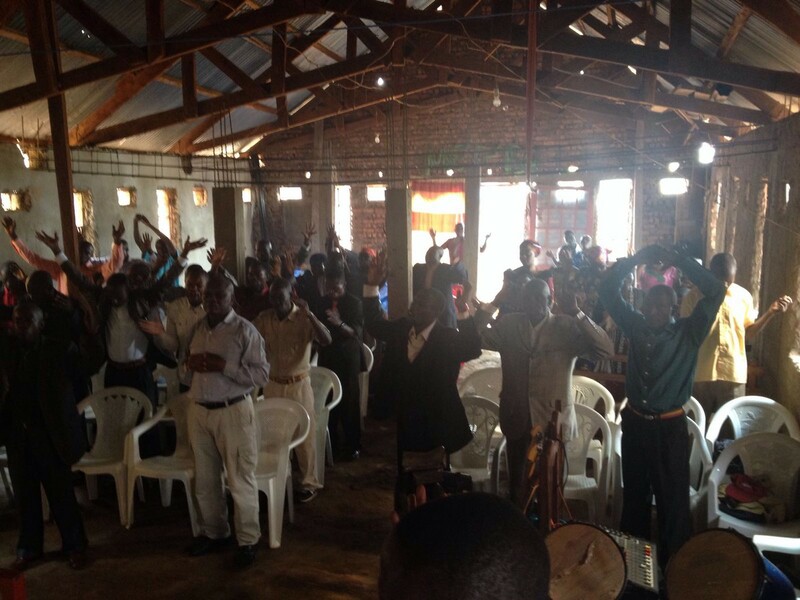 During last year alone, our pastors had planted 15 new churches! This is the highest number of churches that they have ever planted in the entire history of their church planting. God is definitely doing amazing things, but we need to continue to pray for these leaders, the pastors, and for their people, and really believe for God’s hand and God’s grace to be upon them! It has been a tremendous journey for Pastor Brendan and myself. We have been so inspired, so challenged, and at the same time so stretched as well during that time. It is always tremendous when we go forth, when we step out in faith, and we serve God, and just to see what God can do when we trust Him! God bless you.